to experience across multiple screens. 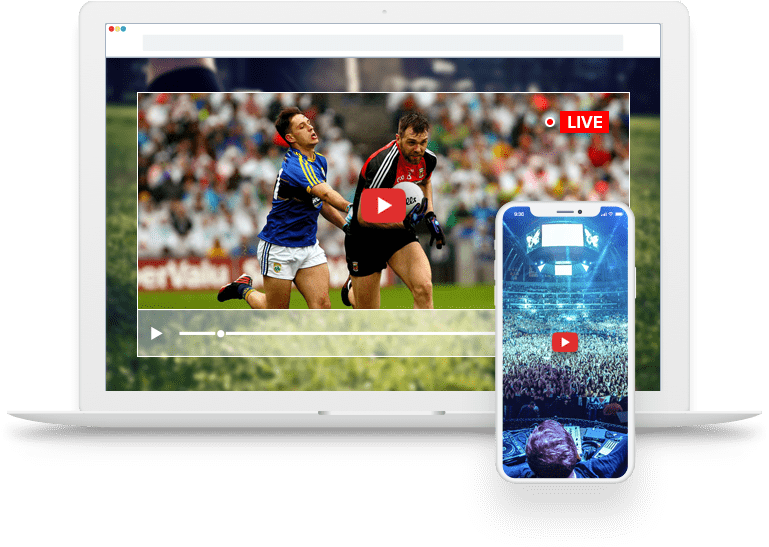 wplayer Live Streaming Solution fully supports HD (High Definition) Adaptive Bitrate live video with awesome streaming capabilities, one can up and run their live streaming channel in mobile without any problem. wplayer Live streaming Solution provide perfect enjoyment of high-quality video content for the customer on their go. Institutions with its awesome features. We help you Live Broadcast your Event with ease & help out your Brand reach out to your viewers. Experience flawless live-streaming for your upcoming events with our professional services. Connect with your viewers on any device at anytime. Spread out your institute's events, such as lectures, presentations, new student orientations, graduations, and sports events tools with Wplayer for Education tool. It acts as a teaching tool for video production courses, creates student-run live shows and other events. Best tool that helps Enterprises for streaming videos and video content management. Conduct workshop training and co-operation programs to monitor and organize global journal events. This is a great way to involve employees and customers with live streaming videos. It helps to monitor everything from the local road to the planetary orbit. Wplayer allows you to connect in full transparency with your community during events such as political campaigns, public announcements, journalist meetings or town hall meetings. Let your famous events get broadcasted on the web and meet the growing fan base for web entertainment. From the interviews, sports, and music to popular documentaries, jokes, and more, the Wplayer allows you to quickly and easily capture videos directly with or recorded media. Wplayer helps integrating web streams and scoreboards in a flexible manner. You can broadcast live activities regarding any of your athletic interviews, press conferences, competitions, and important announcements and on any device like desktop, tablet and mobile phone. Increase your followers and provide them the service they need through advanced technology. Today, many churches use Wplayer to broadcast their popular and sacred services. Most of the churches make use of Wplayer to stream many special events. Wplayer for service providers helps to create the best streaming service in the industry. Provide your customers anything they need with high reliability, performance media streamline to any type of screen size. 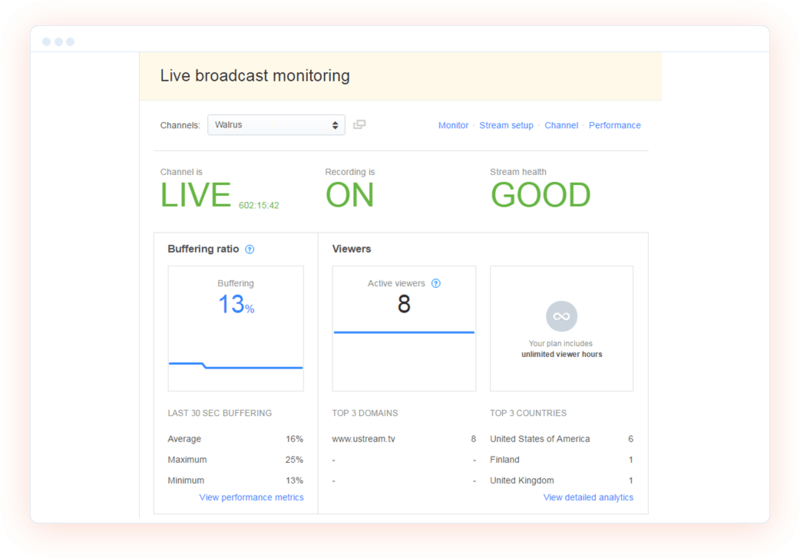 Provide a live streaming application with full featured awesome experiences. wplayer customized application developed with features of monetizing, measuring the performance with real-time analytics like viewers counts and error monitoring. Live Streaming Solutions allows you to add multiple live Sources, Graphics, Audios, pre - Recorded Contents, Computer Screens, web sources and many more. Live Streaming Solutions has features of much expressive hardware inbuilt in it. You literally own more flexible and durable hardware in the form of portable mobile application at 1/10th of the cost. 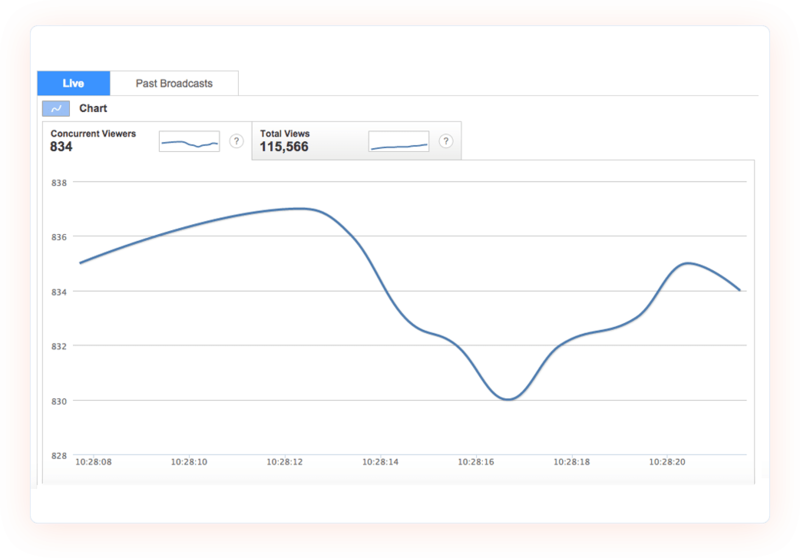 Keep informing your viewers about current situation of the events through customizable GUI Statistics. Viewer doesn’t have to miss anything about your live broadcast. Live Video Service built to make sure that it should be user friendly for the viewers of all age. Operating wplayer Live Streaming is 100% easy to use and understandable. Build a live streaming less complicated is important. No matter if the broadcast is seen from a table or Smartphone, the application built in the way that it will hold the interface of the application same between all devices. Have you ever wonder that how you would be managing and streaming a site with 1000+ HD videos. Then wplayer is the Perfect solution for you. 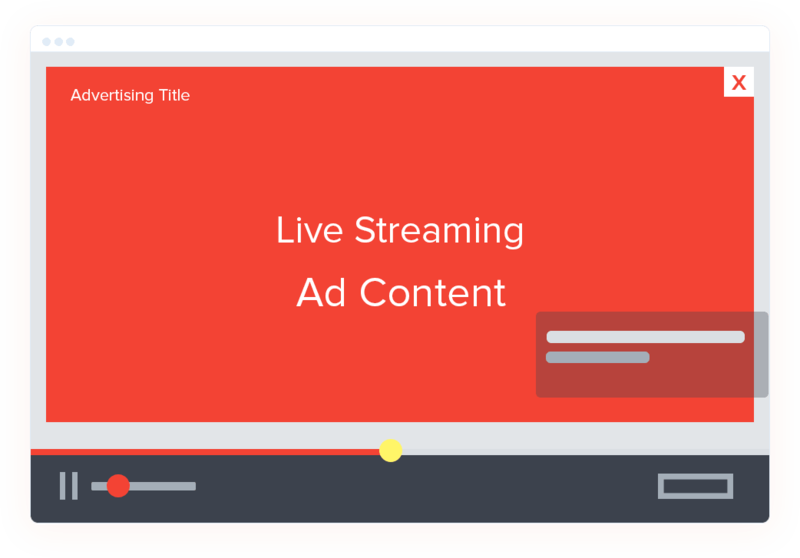 You can integrate ads and the viewers can watch their live streams without getting interrupted. Webnexs wplayer live streaming got a nice and decent interface. You can add endless plugins and extensions to make your channel streaming better. I never had seen any problem with wplayer. Thanks you so much for this awesome product. When I integrated wplayer live streaming with my website, I initially had some problems with chrome browser. But the bug was completely resolved within 48 of raised tickets. Webnexs developer and support team was my Hero of the day. Quickest response I have ever seen. I have made a wise decision by choosing live streaming by webnexs. I do reviews for certain product and record them to telecast on my website. With wplayer live streaming platform I can now easily review and recommend about products without any problem.